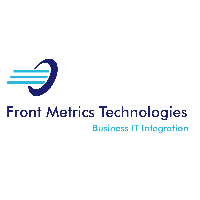 Front Metrics Technologies is an ISO 9001:2008 and ISO 27001:2005 organization specialized in providing consulting and training services in the field of IT Service Management, Enterprise IT architecture, IT Security and IT Governance. EXIN Accredited Training Provider and Examination Center for ITIL®, PRINCE2®, MSP®, SCRUM Master, DevOps, BigData, Cloud Technologies, Information Security, Openstack. Front Metrics Technologies offers a variety of training's / workshops options, allowing you to choose the topics and delivery method that are right for you. Our experienced consultants provide these services to a large number of organizations, both private and public. Our training division uses multiple delivery models to impart training to the students.